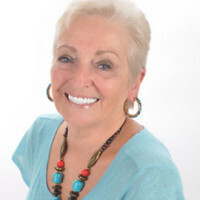 Elaine Naum has worked in the real estate industry since the 1970s representing buyers and sellers in the Tampa Bay market. Her clients just love her. Elaine is extremely thorough in her tasks with her buyer from finding the perfect home to making the closing a breeze, and marketing that lovely home for sale to getting it sold for her seller in a timely manner. Elaine was born and raised in New York, but has been a South Tampa resident for years. She knows the Tampa area and the market and is ready to make it happen for you.